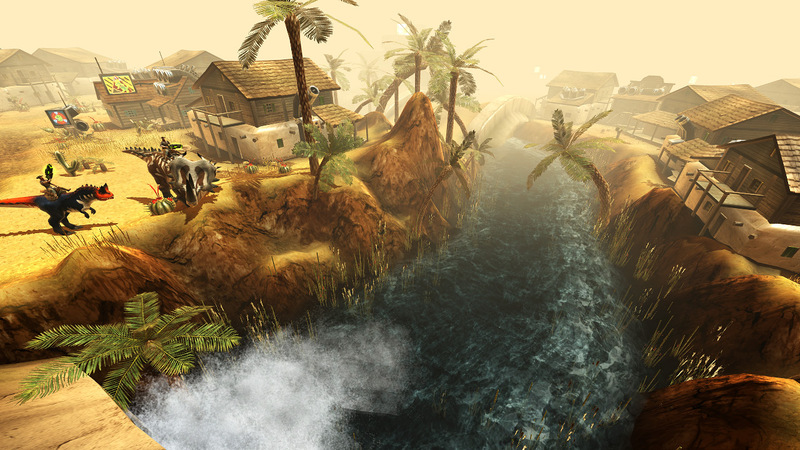 Dino Storm is a free browser MMO game from SplitScreen Studios, makers of Pirate Galaxy. 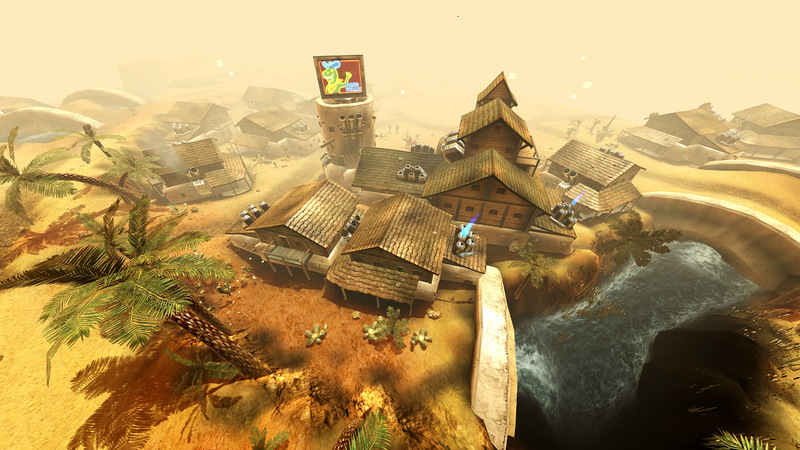 This game puts the player in the western town of DinoVille, where you have to control overwhelming dinosaurs equipped with powerful laser cannons. The goal is to hunt the dark rangers, bad guys that are wanted dead or alive. Act as an heroic ranger and become an amazing weapon of justice. 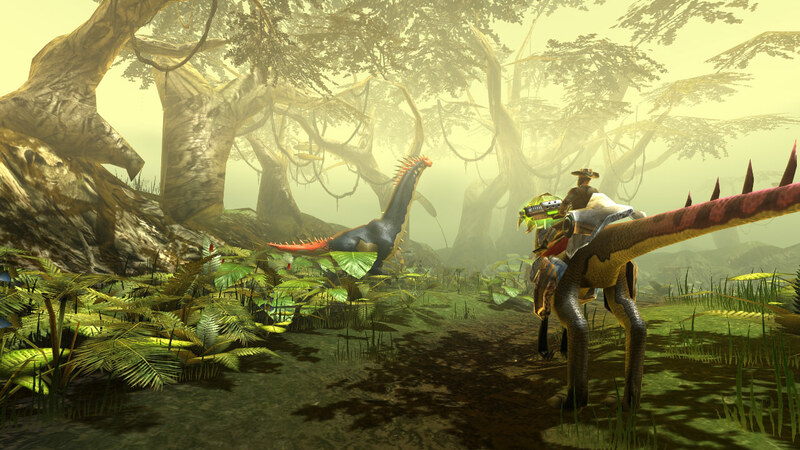 In Dino Storm, instead of the usual horses, the rangers use trained dinosaurs as mounts, including the legendary Tyrannosaurus Rex. 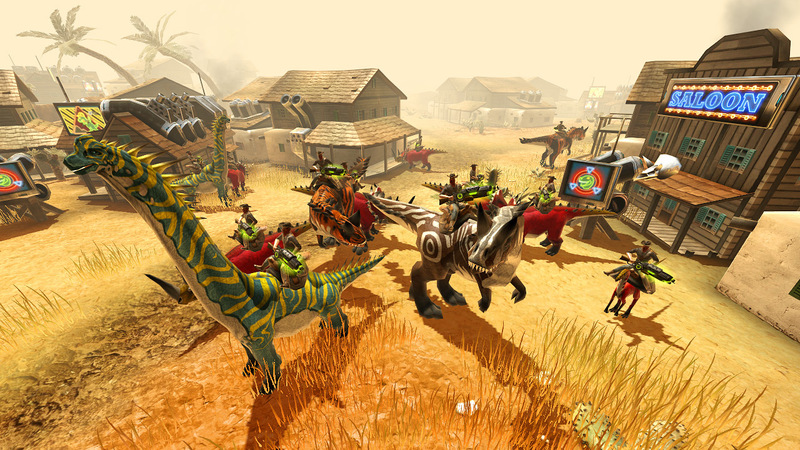 Join your friends and battle against evil in DinoVille.